With travel being more accessible than ever before, there’s never been a better time to plan a trip and head off to pastures new. And if you’re planning a trip sometime soon but want to keep your costs low to save some cash, consider staying in a hostel. Modern hostels offer many of the same great services and amenities as good quality hotels at a fraction of the usual price. In fact, they often even throw in a lot of extras totally free like high speed internet access and breakfast buffets. Many hostel locations also feature multiple room types, with private options to go along with the traditional mixed-gender or gender-specific dormitories. 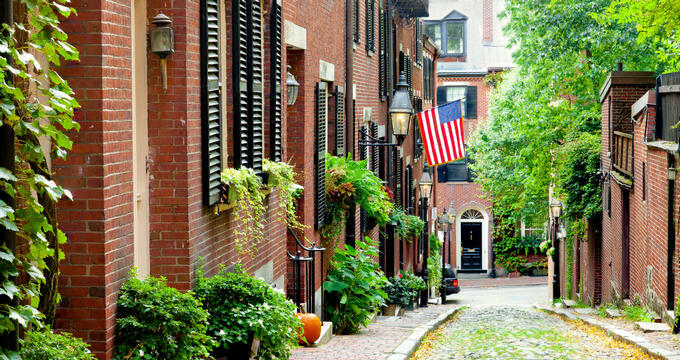 As one of the oldest and most historic cities in America, Boston is a highly popular tourist destination. It’s a major college city, with Harvard and MIT right nearby, so it’s very popular with young people, and those are exactly the sort of people who might consider stopping in a hostel. Hostels in Boston offer affordable room rates and warm welcomes to all, complete with communal kitchens, lounges, games rooms, outdoor spaces, and more. They’re perfect for people who want to enjoy the city by day and then relax in a comfortable setting in the evening, with friendly faces all around. Boston isn’t known as a major hostel hotspot, but there are several hostels and hostel-like locations around the city, all offering unique lodging options and amenities. Boston is a beautiful place and many of its hostels are housed in old, historic buildings, allowing every guest to really feel part of the cityscape. Read on to learn some important contact details and overviews of the very best hostels in the Boston area. Situated in Boston's lively Theater District, not far from several city landmarks like Boston Common, HI Boston Hostel is part of the nationally popular HI chain of hostels, well-known for cleanliness and good service. This location is in line with the chain's excellent reputation, offering friendly welcomes to all guests and some very nice rooms and dorms. Female-only and mixed-gender dorms are available, as well as private rooms. The private rooms have their own bathrooms, whereas the dorm guests share bathroom facilities. Everyone stopping at HI Boston Hostel gets free Wi-Fi and free breakfast each morning, as well as use of the laundry room, games room, and more. Special events and activities are frequently organized at this Boston hostel too, so there are plenty of reasons to reserve a room. Housed in a little brick building a few miles away from the downtown districts of the city, Backpackers Hostel & Pub is another terrific option for budget-conscious travelers. This location has received hundreds of highly positive reviews from past guests and offers free Wi-Fi, parking, and breakfast for all visitors. As the name indicates, a pub is also situated on site with affordable drinks, and there's a nice lounge area for guests to hang out too. Free shuttle services run from this location to the local train station. The Farrington Inn isn't quite a hostel in the traditional sense, but it does have hostel-like facilities and rooms. It's a simple, no-frills location housed in a lovely old house in a relaxed residential area. If you want to spend each night of your Boston trip in a calm environment, away from the busy downtown districts, The Farrington Inn is a good option to choose. It's a few miles from some of Boston's top attractions but has good transport links. Rooms are simple with both shared and private bathroom variants, and free Wi-Fi is offered for all guests, along with use of a cozy lounge space. Like the Farrington Inn, Found Hostel Boston Common isn't officially categorized as a hostel but has a lot of hostel-like features including simple rooms, complimentary breakfasts, a laundry room, and free Wi-Fi. This Boston location often appeals to families with youngsters, as all guests aged 13 or under can stay totally free of charge. High speed internet access is also offered to everyone staying at Found Hotel Boston Common and the hotel itself is nicely situated for many of the city’s top touristic spots like Boston Common and the Public Garden.